Application Tools Archives - Goosebay Sawmill and Lumber, Inc.
Additional Static Mixers to be used with West System Six10 Epoxy Adhesive. 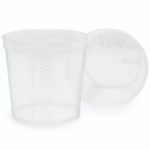 Cured epoxy pops out of these heavy-duty, reusable plastic mixing pots. Pots are calibrated to help measure larger batches. 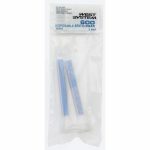 These spreaders are designed for use with epoxy for flow coating, fairing, filling and applying fabrics. 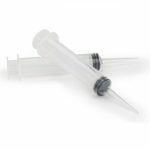 West System 807 reusable syringes can be loaded with epoxy mixture for injecting into tight spots. 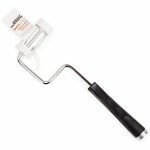 The West System heavy duty, flexible plastic roller pan allows you to “pop out” epoxy after it has cured so the pan can be re-used. 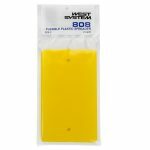 This eliminates the need for liners when working with epoxy. 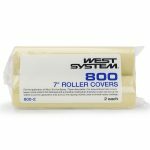 The West System roller frame is designed to use with West System 800 Roller Covers. 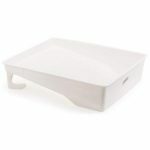 These thin polyurethane foam covers are the only roller covers recommended for epoxy application.